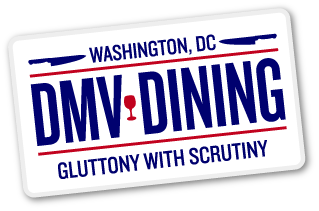 DMV Dining brings you a compilation of some comings and goings in the Bethesda restaurant scene. There are certain places that have been in the DC area for decades and are thought of as institutions. 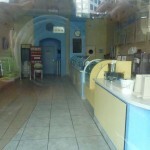 Gifford’s Ice Cream is one such place, and we sadly learned that they have closed their doors at all locations due to a legal dispute. I was walking past the Bethesda location yesterday, and was shocked to see the dark store and eviction notice taped on the door. There was a written note that said, “Closed for the weekend”, but it seems that the sign had been there for several days. Looking into this further, the Washington Post confirmed that there has been a nasty legal battle spanning the last few months between the current and former owner, and the former alleged that the company had been swapping premium Gifford’s ice cream for a generic Hood ice cream brand. 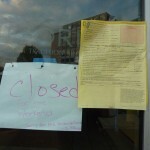 We hope this all can be worked out as it would be a sad day in Bethesda to see the beloved store close down for good. What’s great about working and living in Bethesda is that I can easily run some errands during lunch time. A few days ago, I was picking up some shoes I had repaired at Fortuna’s, a great shoe and leather repair store on Woodmont Avenue, when I spotted a sign on a storefront for a new dessert and pastry shop. The sign covered the windows so it was hard to tell what was going on behind the scenes, but I was able to take a picture, and it looks like tout de SWEET pastry shop will be arriving soon. The only other description was on the bottom of the sign, which said, “tea, cakes, macaroons, coffee, cupcakes.” We’ll report more when we notice further developments, but as of now, there is no website to speak of for this establishment. We may have missed the boat on this one, because is looks like Annie’s Bistro Francais is already open on Elm Street in Bethesda. 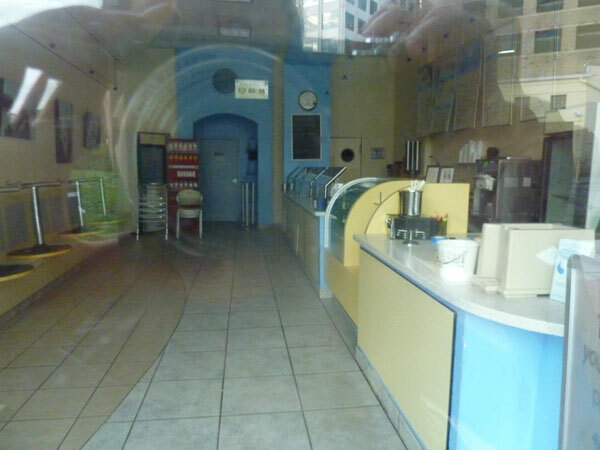 We noticed a few months back that something was coming in the old Cafe Gelato space, but since we don’t live on that side of Bethesda anymore, that specific area is harder to keep track of. While checking Yelp, it looks like the Bistro opened about a month ago and is already getting rave reviews. The story behind this restaurant is that there was a place with the same name in Middleburg, VA that had a great following. Sadly, they had to close down after too much damage from Snowmageddon, and decided to move up to Bethesda and start over. We can’t wait to try it and I have a feeling we’ll be really glad that they decided to make the move to Maryland. One place we were always curious to try but never got around to was Javan Restaurant on Wisconsin Avenue. 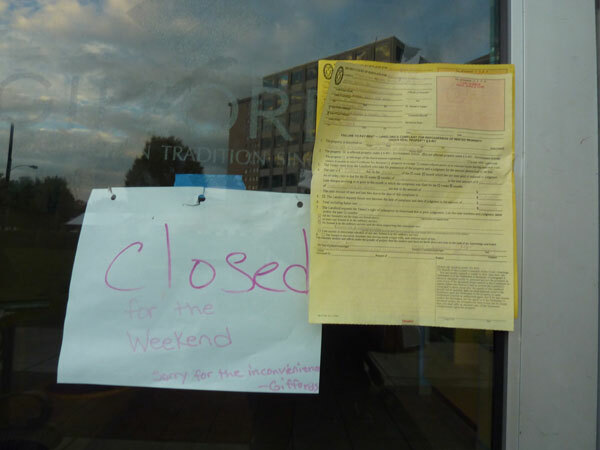 We always heard good things about the Persian restaurant, but now it looks like we’ll never have the opportunity to try it as we recently noticed it was closed for good. We won’t have to hold out for Persian food for too long as Table Talk reported that a Kabob Bazaar will take its place. This restaurant has a long track record with their Arlington location, which has an average of four stars on Yelp. We will certainly have to check this one out, and based on its reputation, it definitely looks promising. Finally, I have always found it interesting that there are so many rug stores in the area, yet before long, they all close and have huge signs hanging for months saying that they are going out of business and that everything must go. I noticed this when I was living in DC, and now the same case presents itself in Bethesda, next to Gaffney’s on Wisconsin Ave. However, below their Going out of Business banners are green signs on the bottom of the windows that say, “Italian Cuisine Coming Soon.” Now, this is fairly vague, and we still have no idea what type of Italian cuisine they’ll be cooking, nor the name of the restaurant, nor any other details, but the signs are prominent in several places. It just seems odd to us that they are already posting signs for a new establishment while the current one has not shut its doors yet. Rachel and I have been fans of Birch & Barley, as well as its upstairs counterpart ChurchKey, since it opened last year. The food has been outstanding while the beer selection clearly speaks for itself, yet we’ve heard rave reviews regarding their brunch for some time and have been dying to try it. 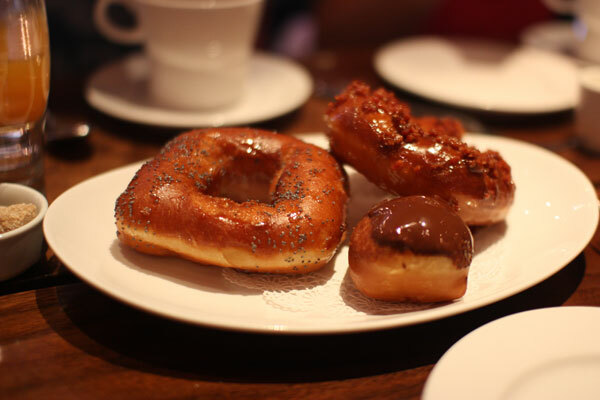 So, what better way to celebrate Rachel completing the Army 10 Miler that morning than eating at a venue that offers toffee-bacon donuts? We felt it was due time to see what all the Sunday afternoon hype was all about. Their infamous special is called the Boozy Brunch, which for $30 includes donut holes, two drinks, any entree, and unlimited coffee or tea. This is quite a deal, but considering it was still early and we knew that we would be drinking later that day to watch some football, we ultimately passed on the offer. We did get some tasty Bloody Mary’s and mimosas though. We started our meal off with a plate of their freshly-fried donuts which ranged from lemon-poppy glazed to bittersweet chocolate to the aforementioned toffee-bacon. All of them were delicious, but the bacon donut might have been our favorite given how well the sweet and salty combination worked. 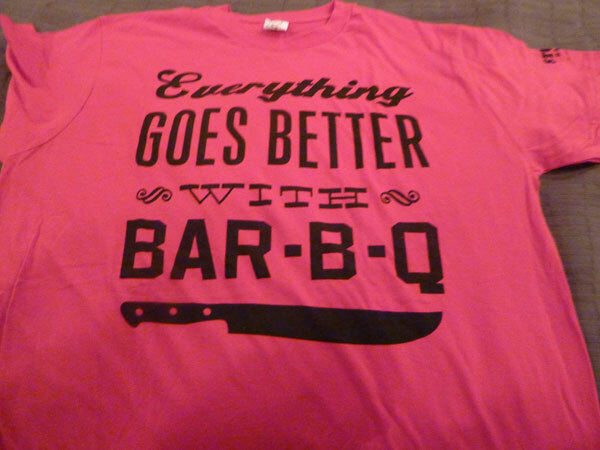 Everything tastes better with bacon, right? One strange thing that happened was that several of us ordered coffee, and it seemed that the coffee that our friends Jim and Livya received was brewed without using a coffee filter as the bottom of the cups were full of grinds. We pointed it out to the waiter and he apologized and seemed embarrassed by it, and quickly replaced the coffees with fresh ones. For our entrées, I went with the house-brined corned beef hash. 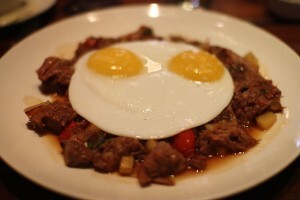 Topped with fried duck eggs, the corned beef was succulent yet was lacking a kick. In my opinion, it really needed some spice to bring out the flavor. I’m not one to ask for hot sauce, but I was nearly compelled to which was rather unfortunate. On the other hand, the duck eggs were fantastic. The egg whites were not runny at all, and because duck eggs are larger than your typical chicken egg, the presentation nearly covered the entire plate of hash! These could honestly be a meal in themselves, and then when you factor in all the corned beef hash below it, you have yourselves quite a meal. 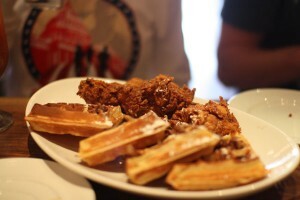 Rachel ordered what seemed to be their signature brunch offering, chicken and waffles. Brett had this dish at nearby Marvin a few years ago for dinner, and it does seem like a heavy meal to start the day off with, but she simply could not resist. After running 10 miles in a great time (under 90 minutes! ), she felt she deserved it. And it was quite the reward indeed. A full waffle cut into four pieces with lightly drizzled syrup and pecans on top, next to three boneless pieces of perfectly fried chicken. It was a completely indulgent and delicious dish. She made sure to eat every forkful with a piece of chicken and waffle together, and it was the perfect combination of sugar and salt. We were stuffed after that and didn’t eat much the rest of the day. Many hours later, we were still thinking how good our dishes were, and if only we lived slightly closer to this beloved establishment. 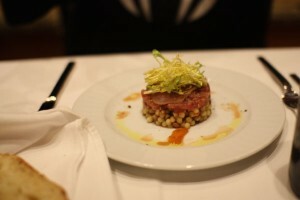 Olazzo has consistently provided Bethesda with enjoyable Italian cuisine at reasonable prices. This past Saturday night’s dinner was no exception. 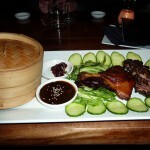 It is easily one of our go-to places if we want to go out to dinner yet not spend a considerable amount of money. We decided to grab a meal here last weekend as Rachel, as well her friend Lisa, wanted to “carb up” for Sunday’s Army 10 Miler of which they were both running in. Me? Well, let’s just say I watched. Anyway, we arrived on the earlier side as Friday and Saturday nights tend to fill up rather fast at Olazzo, and given the intimate space of the venue, wait times can be rather high if you show up around 7pm or so. Because we got to the restaurant around 6:30, we were promptly seated and given a plate of bread along with olive oil and vinegar that was poured right in front of us and served by one of the servers. Another reason why Olazzo is such a great value is that salad is included with the order of any entrée. It seems rare these days to find many restaurants include salads with their meals, so it’s reassuring to know that at least one eatery in the area still abides by this practice. 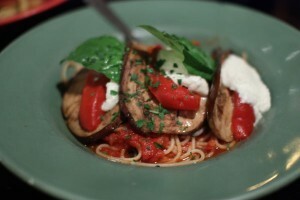 As for our dinner, I went with the Grilled Eggplant which was served with layers of fresh mozzarella and roasted red peppers over a bed of spaghetti. Instead of the olive oil and garlic sauce, I opted for the marinara instead as I’ve always been more fond of red sauce. While the pasta isn’t homemade, the marinara is, and man, is it delicious. It proved to be a generous portion as the eggplant was grilled nicely while the mozzarella helped balance out the acidity of the red peppers. It was a great dish, and for only $13, it’s certainly a bargain. Rachel was torn on what to get, since normally she would have chose the Pasta Primavera, but since this was a night for pasta and some protein, she got the homemade meatballs with marinara sauce and penne. Again, for $13, it was a great deal. We already knew how great the meatballs were since we got one at Taste of Bethesda a few weeks back. It was a huge portion and just as good as we remembered, if not better since it was fresh from the kitchen. The dish came with two huge meatballs, so of course I got to have one too since it was too much for her to finish. 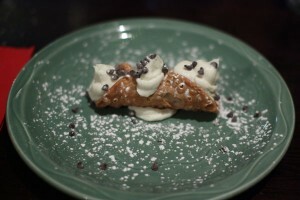 We finished the meal off with, of course, their ridiculously good cannolis. I’m not kidding you when I say that these are hands-down the best cannolis you will find in the entire Washington metropolitan area. You might have to drive up to Vaccaro’s in Baltimore if you want the next best thing. The cold, rich, creamy filling and crisp pastry shell, all topped with miniature chocolate chips, makes this a dessert you do not want to pass up. The service was great, though we did feel a bit rushed as bussers would immediately clear our plates as soon as we finished them. I guess I can’t blame them because of the high turnover during the weekends, but it would be a little nice if they toned it down just a tad. 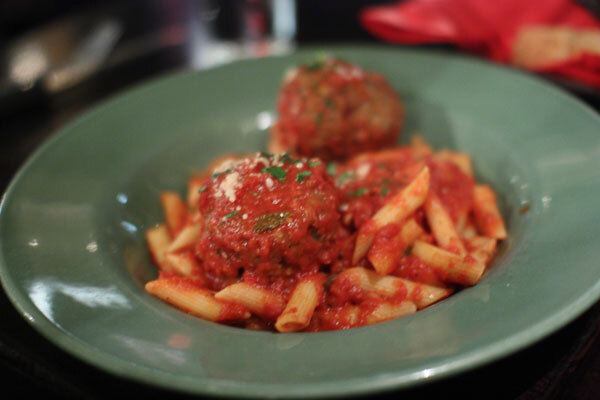 Overall, if you’re looking for some great, casual Italian fare while not trying to break the bank, we cannot recommend Olazzo enough. And while the lack of homemade pasta might be a drawback to some, the cozy atmosphere and food alone makes for a reliable meal in Bethesda. I have been fortunate over the years to travel to many places across the country, but there have always been a few cities I have always wanted to visit. One of them is Austin, Texas, and this past week I traveled there for a meeting for work, and got to try some local favorites along the way. I knew that Austin was famous for both its barbeque and Tex-Mex cuisine, so I had to make sure to try some of each at least once while I was there. 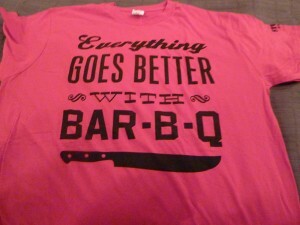 Over the course of only three days, it is safe to say that barbeque may have won out. On Monday, for a late lunch I decided to try some barbeque, and noticed on a map at the hotel that the famous Stubb’s Bar-B-Q and music hall was only a few blocks away. I went straight there and was surprised how empty the place was, but then again it was 2:30 in the afternoon. I was told to order at the counter, and straight ahead of me I saw various options for platters. I was hungry by that point and wasn’t sure what to get, so as a last second choice I opted for the smoked chicken platter with a side salad, mashed sweet potatoes, and cornbread. It seemed like a lot of food, but it looked like the smallest option. Little did I realize till after I got my food and looked over to the right that I completely missed the sign next to the platters that was for sandwiches, which came with one side. 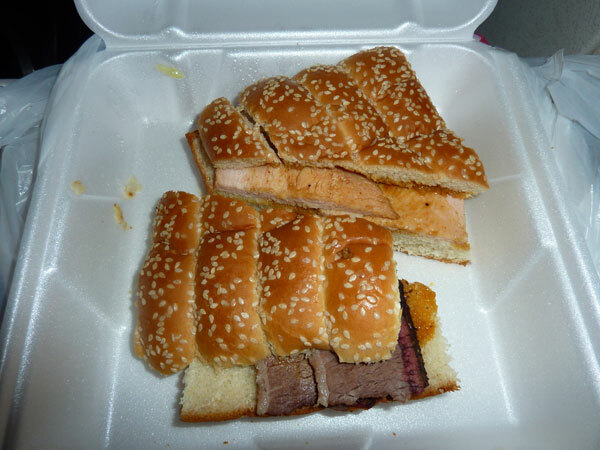 Granted, the chicken I got was extremely moist and delicious, prepared with a blend of mesquite spices and seasonings, but it was not the real type of Texas barbeque I was expecting. I thought it would be pieces of smoked chicken covered in sauce, but it was day one in Austin, so I figured that there would be plenty of time to try the real thing. Later that night, we decided to get some Tex-Mex, and with a recommendation from our association’s president (and also an Austin resident), we headed to Guero’s Taco Bar in the South Congress area. It definitely seemed like a dive restaurant, but we were told it was a longtime Austin establishment and had great food and atmosphere, so off we went. We each started off with a different type of margarita, as well as chips with three kinds of salsa. The menu was fairly large, but given that the restaurant has the word “taco” in its name, I figured I should try one of the tacos. 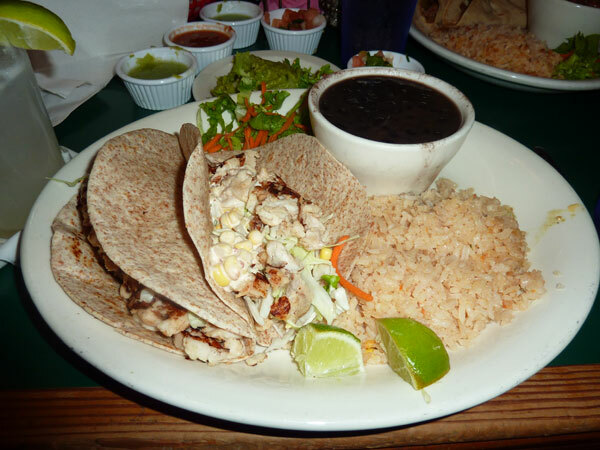 I decided to get the fish tacos, which featured marinated and grilled fish, shredded cabbage and corn, topped with a chipotle tequila mayonnaise and served with black beans and rice. We had a choice of corn, white or wheat tortillas, and I went with the latter. Some of the other diners had the carne guisada, which was marinated beef tips, and the al pastor, which was pork. Overall I really liked mine and thought the flavors meshed well together and weren’t too heavy. I added some extra salsa, black beans, and guacamole to the tacos, and it was a very satisfying dish. I’m curious how these tacos were compared to the many food trucks there were in the area, and the fact that most places I passed offered various taco dishes. But considering it was my only time having Tex-Mex food in Austin, I was happy overall. 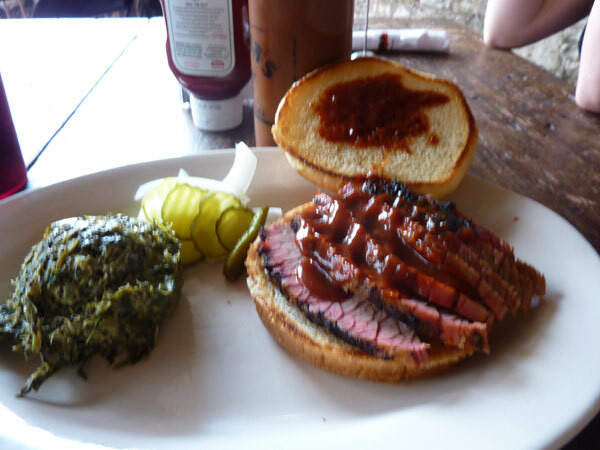 The next day, I told my colleague about my meal at Stubb’s, and how delicious it was, but I wish I had ordered the beef brisket sandwich instead. She had no idea that the place was so close to our hotel, and I was happy to make a return visit. Again, the restaurant wasn’t crowded, and you could see they were already setting up outside for that night’s show. This time, I got the beef brisket sandwich, with a side of Serrano cheese spinach. And what a great sandwich it was. 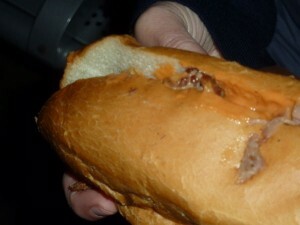 The brisket was perfectly sliced with a layer of sauce on top and a toasted bun. Of course, I added extra sauce from the bottle on the table. The side I chose was really unique, it looked like typical creamed spinach, but the combination of the spinach with the spicy cheese gave it a nice kick. 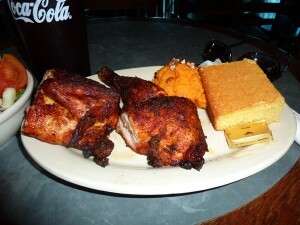 Sadly, I have no dinner post to write about for that night, because Stubb’s was just that filling. Last day, after going for a run on the trail by Lady Bird Lake, I decided to get some breakfast at somewhere other than the hotel’s fake Starbucks. Coming back from the run, I noticed a Jo’s, which I knew from the other day had great coffee. They also had a sign for breakfast tacos, so I figured I should have something more local for the last day. They didn’t have many pre-made, but were nice enough to make a taco filled with egg whites and cheese, from scratch! I ate it back in the room with fresh salsa, and it was a perfect breakfast treat with refreshing iced coffee. I thought that would be the end of my Austin culinary adventures, but when I was at the airport, I decided to scope out the food outposts to see if there was anything decent to get for lunch on the plane. Sure enough, with Austin being such a great city, even the airport had local offerings, such as Amy’s Ice Cream, and their famous Salt Lick BBQ. I had actually seen this restaurant on Yelp when looking up barbeque in Austin, and was amazed this actually existed in the airport terminal. I couldn’t resist, and bought both a beef brisket and a smoked turkey sandwich to go. Since Brett was drooling over my dining experiences this week, I figured bringing him back a sandwich was the least I could do. It was a tough call debating which BBQ was better – Stubb’s or Salt Lick. I guess we’ll have to try to head to Austin next year for ACL to test it out again. To continue the trend from yesterday’s burger review, now comes news that Bobby Flay will be expanding his Bobby’s Burger Palace chain to Bethesda, DC, and Baltimore. According to Nation’s Restaurant News, Flay has a dozen or so locations planned to open up over the next year. Well now, I guess because Bobby Flay has his name on the restaurant, it MUST be good, right? We’ll reserve judgment once his Burger Palace actually opens in the area, but in the meantime, dude really needs to keep his ego in check. 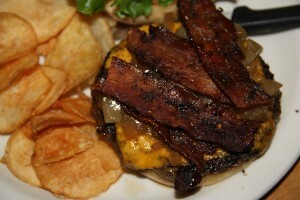 UPDATE – The Washington Business Journal reports that Flay will be opening his Burger Palace in two area locations. The first will be in College Park, Maryland at The Varsity, a luxury student housing complex. An opening is slated for September 1. 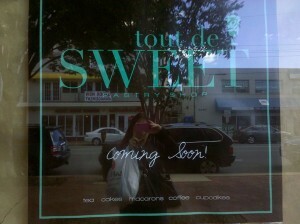 The second location will be located in DC proper at 2121 K Street NW. 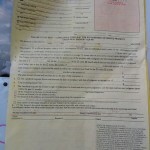 It is tentatively scheduled to open later this year. UPDATE II – Metrocurean is reporting that the DC location of Bobby’s Burger Shack is expected to open on Tuesday, August 16. While burger places in the area have come (BGR: The Burger Joint) and gone (Crossfire), Fresh Grill quietly opened this past summer and perhaps offers the best patties yet. 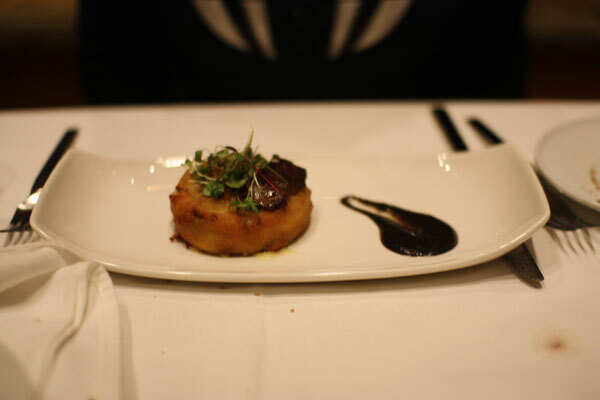 Rachel and I have been meaning to try this place for awhile as bloggers and Yelpers alike have raved about the beef that is currently being served up on the corner of Fairmont and Woodmont Avenue. We arrived in time for their Happy Hour, which runs from 5 to 7pm. Appetizers were half off as long as you purchased a beverage, which themselves were offered at a 25% discount. We started the evening off with an order of “Mini Me” grilled chicken sliders as well as a couple of bottles of Dogfish and UFO. Fresh Grill already gets some points in our book for offering some excellent microbrew selections, and for $4 per bottle during Happy Hour, I dare you to find a better deal for some 60 Minute IPA. Back to business, the real reason we were here was evident: the burgers. Fresh Grill offers plenty of pre-constructed options that start at $9.95, or one can build their own burger for $7.95. All preparations come standard with lettuce, tomatoes, mayo, and a side of their house-made chips. I was debating between the Dragon’s Breath (pepper jack cheese, red onions, charred jalapeno peppers, fire sauce, coleslaw) and The Hangover (sunny side up egg, cheddar, and bacon… very similar to the Gus Burger at The White Spot in Charlottesville), but decided to keep it simple and ultimately went with The Classic. The burger featured applewood smoked bacon and cheddar cheese, but I also added sautéed onions as well (one of several toppings that can be added for an additional dollar or two). I also asked to exclude the mayo (I’ve just never liked mayonnaise on burgers, ever) as well as to have it cooked medium. The order was complete in no more than ten minutes when I picked up my plate and noticed a steak knife punctured right in the middle of a beautifully stacked patty. Crafty presentation, I have to admit. I placed the top half of the bun on the burger and took my first bite. My word was it delicious! The half pound of cooked Angus beef was incredibly juicy while the mixture of the bacon, cheddar, and onions made me not wanting to put it down. I could’ve devoured it without any toppings whatsoever just because I was so impressed with the quality of the meat itself. Now, Rachel has never herself been a burger fan. Many times when we go out, she will opt for a veggie or turkey burger, or even a hot dog. Growing up, she just never really enjoyed the taste of hamburger meat. However, she also felt this way about many different vegetables and types of fish that she now loves, and even prefers most nights. So, when going to an establishment that prides itself on quality hamburgers, she decided to take the plunge and actually get a burger, instead of their “world famous chicken sandwich” or “world famous fish sandwich”, or even their special veggie burger of the month. 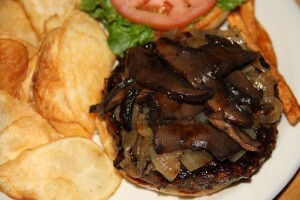 She decided on the Domo Burger, which had a soy sauce glaze, topped with caramelized onions and portabella mushrooms. And I think it’s safe to say, Rachel enjoyed her burger. The only trouble is, Fresh Grill may have set the bar fairly high for other burgers to come, but we have no problem heading back there very soon to try a different kind. Roberto Donna’s long-awaiting Galileo III recently opened in Downtown DC, and DMV Dining could not hold out another day without trying the Italian chef’s newest venture. Let’s just say we’re glad he’s back. We were able to grab a last minute reservation for last Friday, and had less than 24 hours to process the notion we’d actually be spending our evening dining on fine Italian cuisine from one of the area’s most beloved chefs rather than catch up on hours of DVR from this past week (ah, married life!). Located in the space previously occupied by Butterfield 9, Galileo III is situated in a prime location in Downtown Washington. Valet parking was our only option as it was still rush hour, but for $8, it wasn’t the end of the world. The hostess was very warm and friendly and immediately sat us near the front of the house. The space is very modern yet homey at the same time, but that could be because Roberto Donna’s wife Nancy, who was making the rounds at every table, makes you feel like you’re a part of the family. We struck up a nice conversation with her as she wholeheartedly approved of Rachel making the wine selection instead of myself. Little touches like that go a long way. Our waiter asked us if we wanted sparkling or still water, and when we had asked for still, he immediately brought over a bottle of water and poured it into both of our glasses before we had enough time to realize that we had really asked for simple tap water. We noticed other tables around us also had tap water, but because the waiter never even mentioned tap as an option, we had simply assumed that “still water” meant “tap” in this particular case. The waiter not initially offering tap water as an option was obviously an error on the restaurant’s part, but we also did not act soon enough to deny the water before it was too late. Both of us were not vocal enough about the gaffe, but seeing how the restaurant was only in its second week of operation, we still probably should have said something. Wine: Considering the price for the meal itself, it was refreshing to see a good number of wine bottles priced at $30. We chose a Bordeaux that had a very distinct taste to it. We were a little unsure of our choice and I noticed that other tables had a sommelier spend more time in helping other diners choose, but they were likely buying a bottle that was probably at least twice the price that ours was. 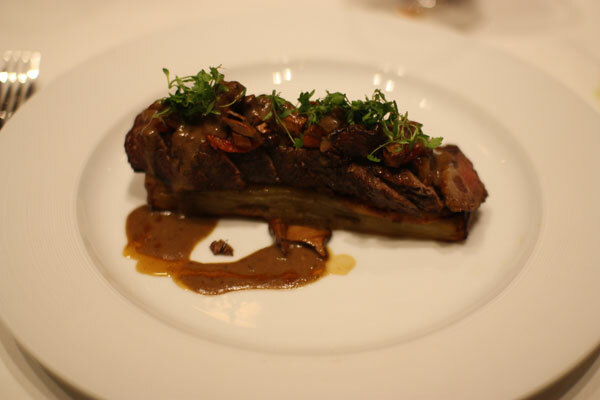 First course: I decided to order the Carne Crude All’ Abese, which was layered hand-chopped veal with slivers of rich Parmesan cheese, slices of mushroom, artichoke chips, and a mixture of olive oil and lemon juice. As the beginning of my meal, it certainly raised the bar as to what was yet to come. 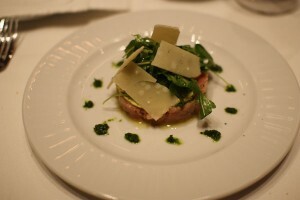 I had no idea veal could taste this good, yet Chef Donna pulled it off with ease. It was an excellent first course as the succulent veal blended well with the dressing, not to mention its gorgeous presentation. Rachel went with the Tonno Delle Isole which was tuna prepared three ways, but only two of the methods were easily distinguishable. One was more of a thinly sliced piece of smoked tuna, and the other was a tartar below that, with little balls of couscous holding it together. There were small pieces of lettuce on top and a hint of orange dressing. The tuna tasted delicious, but it didn’t stand out as a must-try dish. Second course: I went with the Raviolini del Plin – small pinched ravioli stuffed with three meats and served with veal au jus. Another fine dish as the homemade pasta was simply delicious. For one reason or another, it just felt that there was a lot of dedication from the kitchen in concocting the pasta considering how authentic it tasted. Rachel opted for the Porcini Mushroom Two Ways, which meant stuffed legs with fonduta cheese, breaded & sautéed, and roasted head with garlic & parsley, with black truffle sauce. This was a dish that looked much different than she thought it would when first reading it on the menu. It seemed like the mushrooms would be displayed as the stem and legs as the star of the dish, but when Rachel received it, the main component was a fried tart stuffed with creamy cheese and mushroom stems. The second part was a thin piece that lay on the tart, accompanied by a truffle sauce. The flavors all mixed well together, but it was a little heavy and after eyeing someone else’s scallop dish, she wondered if that would have been a better choice. 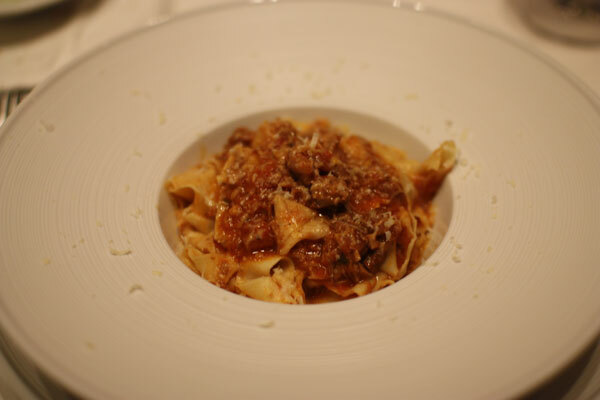 Third course: It is pretty amazing when the following pasta dish is able to top the previous one, but that turned out to be the case as the Pappardelle Al Cinghiale was simply divine. This was my favorite course of the meal as the fettuccine was perfectly cooked while the wild boar sauce was the best ragu I had ever tasted. Seriously, I wish I had a jar of this stuff to take home with me. 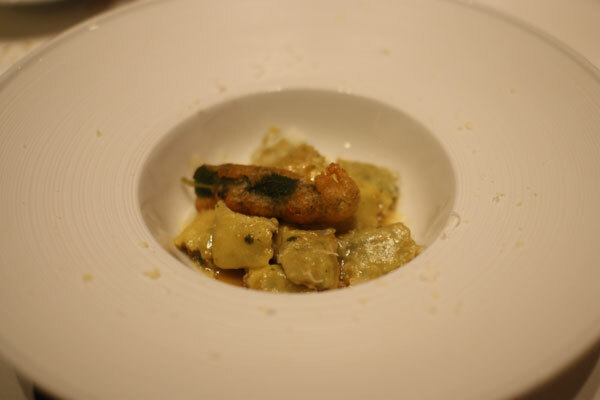 Rachel’s next pasta course was the Mezzelune di Melanzane E Granchi, and the flavor combination was very unique. The half moon shape pasta was filled with spinach and crab meat, with a light tomato sauce, finished with a hint of orange juice. There was a stark contrast between the tomato and the orange flavor, which was enjoyable but also overpowered the filling of the pasta. It was hard to taste the crabmeat, but that didn’t mean it wasn’t a winning dish. It was certainly her favorite of the pasta dishes that night. Fourth course: I ordered the Tagliata (beef rib eye) and it was perhaps the only misstep of the evening. I had asked for it to be prepared medium-rare, but when it arrived, the majority of it was more on the medium-well side. 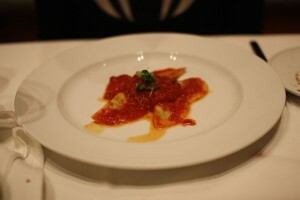 It was also a bit dry, but the sun-dried tomatoes it was topped with aided the overall flavor of the entree. I’m not one to send a dish back unless it is extremely necessary, so there was really no reason to ask the waiter to have it prepared again as it was still good overall. Out of all the courses thus far, this was the weakest in terms of execution. Rachel was in a predicament as she was originally set on trying the Branzino, especially since it received rave reviews from those who have tried Galileo III during the first few weeks. Always a big fan of lobster, she had planned on getting the Taglierini Neri All’Aragosta with lobster tail as one of the earlier courses, and then the Branzino for the entree. However, there was a significant upcharge for the whole fish, and when spending so much for the meal to begin with, it just didn’t seem necessary when all the other entrees were most likely just as good. 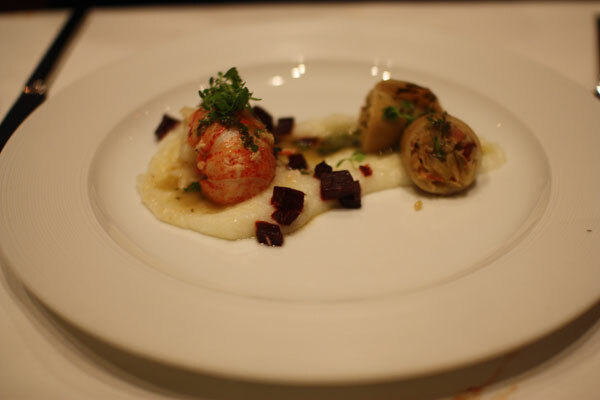 In the end, she went for the Arogosta E Calamari (lobster tail), which came with calamari stuffed with cabbage and pancetta, as well as cubed red beets and creamy polenta. The dish itself was delicious and very unique. The calamari side with the cabbage tasted very similar to a stuffed cabbage dish, and was perfect comfort food. She said she would eat more of that even just as a main dish! She wasn’t sure how well it went with the rest of the entree, but the lobster itself was perfectly cooked, and very delicate. The only thing she noticed was, at the table next to us, that the person who ordered the lobster appetizer had a significantly larger portion of lobster than what she had for the main entree. It was hard to complain with so many courses, and considering the fact that if the portion was any larger she would have been completely stuffed. It just made her think that if we ever came back, that she would definitely try the lobster pasta starter dish. 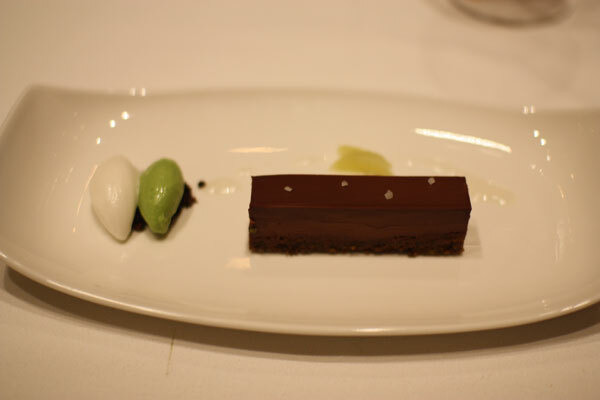 Dessert: For dessert, the waiter recommended the Torta di Cioccolato. It proved to be a great suggestion as the tort was very rich while the small portions of basil and coconut gelato added some variety to the dish. 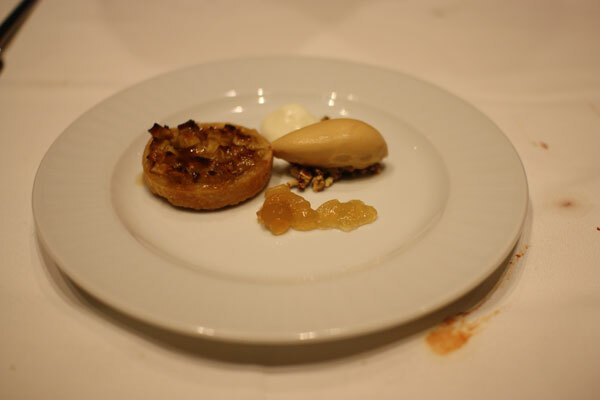 Rachel went with the Crostata di Mele, which was essentially a small apple tart with caramel ice cream. It was a simple dessert and the apple combined with the caramel ice cream was a perfect way to end a delicious meal. Overall, Galileo III turned out to be a great experience. It’s not the best meal we’ve ever had, but I can easily see it becoming one of the city’s best Italian restaurants once they work out the kinks both in the kitchen and on the floor. The service was otherwise top-notch. Bethesda Row will be rolling out its fall edition of Restaurant Week this coming Monday and will conclude on Sunday, October 24th. Diners can enjoy a three-course lunch for $15 or a three course dinner for $30 at select restaurants in downtown Bethesda. 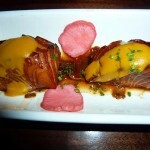 Out of the list above, we would definitely recommend Raku. Not only is their food and service exceptional, but they also offer their entire menu for diners (a rarity in Restaurant Week these days). Lebanse Taverna is a good option as well. I’m honestly a little surprised that Taylor Gourmet is participating since their chiefly a sandwich shop where a hoagie and soda will certainly run you less than $15 per person. As for us, we might finally try Redwood or Assagi. We’re honestly embarrassed that we have yet to have a meal at these places despite living so close. Thanks to Bethesda Actually for the heads up! 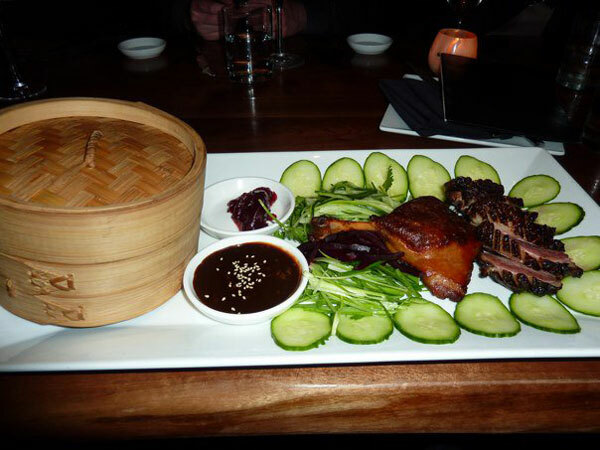 This past Saturday night’s dining outing proved to be a challenge from the get go in terms of finding a place that could accommodate a large party as well as offer food options that were agreeable to everyone. Tapas are fun in theory for a big group, but it gets tough sharing with so many people, especially when guys are involved and walk away hungry. You either wind up ordering too much or too little, and it only works out if it is the right mix of people and everyone wants to share everything. You also want a place that isn’t too over the top expensive, so that people don’t feel uncomfortable. What started as dinner for six people turned into 12, and by that point OpenTable was no longer an option. I usually love challenges like this, and after making a few phone calls, it occurred to me what I thought would be the perfect place. Zentan is a fairly new Asian restaurant in the Donovan House hotel. 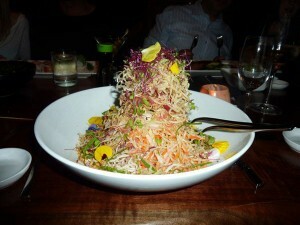 The executive chef at the restaurant is Susur Lee, who some may remember from Top Chef Masters. 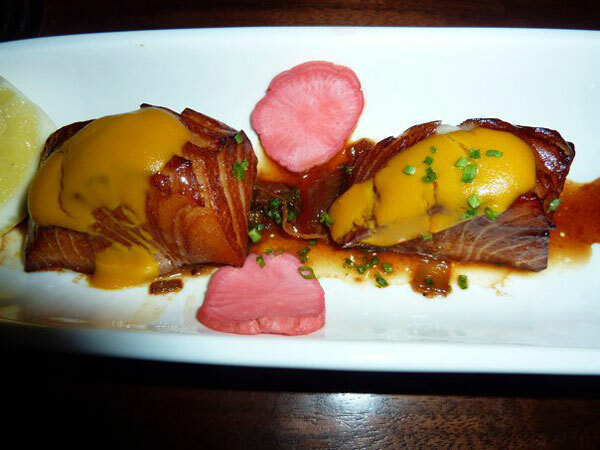 The expansive menu varies from small plates for starters, to sushi, to larger entrée dishes. Sushi can be difficult because not everyone likes it, but I figured this place had options for both sushi and other dishes. I also knew the space was fairly large and had been there before with a large group, so securing a reservation wasn’t an issue either. We arrived at 8pm and some of our party was already there with some drinks in hand. The bar offered some fun and creative cocktails, in addition to sake, wine, and beer. When the waiter finally got to us after we had been sitting for some time, we ordered our drinks and looked at the menu. It seemed like the drinks were taking forever, and finally, the waiter had come around and said the delay was because they ran out of flutes for the sparkling wine I had ordered. I honestly could not have cared less if it had come in a flute or a plastic cup, and it pretty much seemed silly that was the reason he had disappeared for so long. By the time we had ordered our food it was close to 8:45, so needless to say, everyone was a little impatient waiting for the food to come. 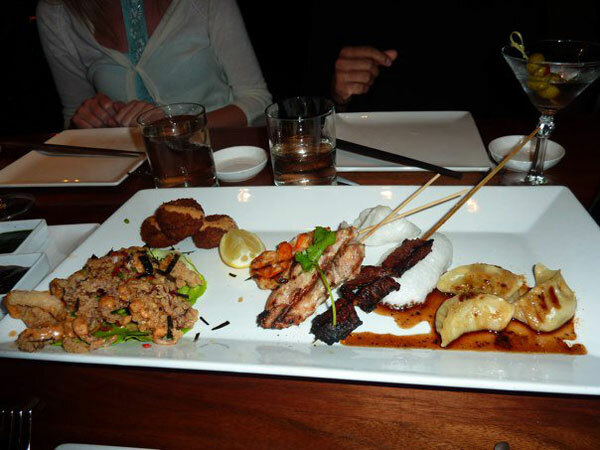 We ordered some edamame and two Donovan Platters to share with the table, which consisted of crusted vegetable dumplings, salt and pepper calamari, crab cakes, and a satay trio. Everything was tasty, but for $24 per platter, it was still barely enough food for everyone. We may have been better off just getting one or two regular appetizers instead of the sampler. For dinner, most people ordered entrees, but Brett and I weren’t super hungry so we decided to share some sushi and an appetizer dish that I have been eyeing for some time, the Singapore Slaw. I have heard that it is one of their signature items on the menu, and the description of 19 ingredients, hazelnuts, and salted plum dressing certainly was appealing. 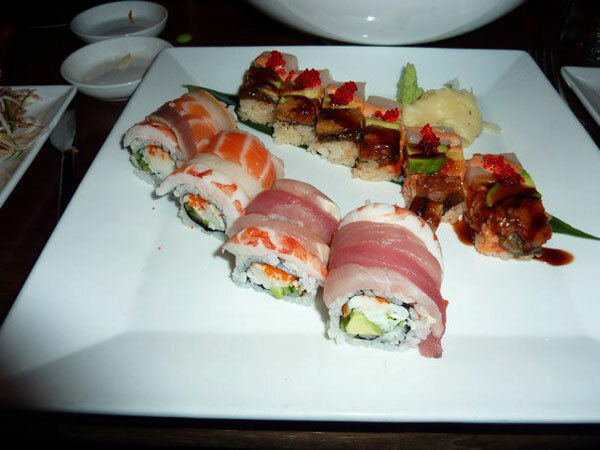 For the sushi, we went with a slightly traditional rainbow roll of tuna, salmon, and yellowtail atop a California roll, and the Brick Roll, which consisted of spicy lobster, BBQ eel, and scallop. I have to admit, the Slaw lived up to its reputation just from its sheer size and color alone. It was a giant tower of ingredients, although when mixed up it’s hard to tell if there really are 19 ingredients. It seemed more like five or six to us. The restaurant obviously doesn’t list them out, but it was certainly unique and different than your average green salad. 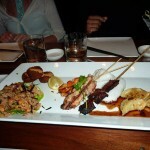 That might have been a better dish to share with the group than the platter, just for its generous portion alone. The sushi might have been the highlight for me. It was extremely fresh and flavorful, and the Brick Roll was literally shaped like small rectangular bricks. The only downside was that it was hard to pick up and we wound up having to eat those in sections. One friend got Szechwan-style sliced duck with crepes while another got caramelized black cod, which looked like something I would order the next time we would eat there. Oddly, they recommended that people order side dishes of vegetables, but I’m surprised they didn’t inform us of how large the portions would actually be. For $6, a bowl of string beans was easily twice the size of the bowl of edamame we ordered earlier in the evening. In my opinion, I’m not entirely sure those entrees needed sides to begin with, but they were so large that we ended up sharing with those who ordered them. I should note that the string beans had this garlic sauce on them they made them slightly addictive. By the time everything had come out, we had inhaled our appetizers so people were slowing down on the entrees fairly quickly. Despite the wait, everyone seemed to like what they ordered and the presentation was very unique. Unfortunately, no matter how good the food may have been, a bad impression of poor service from the start is what everyone seemed to remember, but I guess that is to be expected with a larger group. However, I would think if they knew ahead of time that a large party is coming, and that the bill and order will be substantial, that they would get not one but two servers on us to make sure everything is running smoothly. I think Brett and I will be back, but it will probably be the two of us if anything. 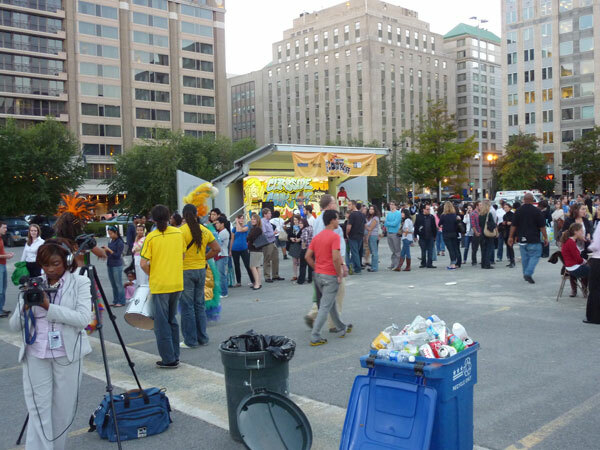 The DC Department of Consumer and Regulatory Affairs (DCRA) and Brightest Young Things should pat themselves on the back for the outstanding job they performed during the inaugural DC Curbside Kickoff. Between the perfect weather, the ridiculous turnout of customers, and the vast array of food trucks to choose from while being situated in a highly convenient location, you could not ask for a better event for foodies. Before we even got there, we were unsure of which food trucks we would be able to choose from as many were already reporting that, due to the extremely large crowds all day, they were sold out or very much close to it. Most trucks had continuous lines all day with people waiting over an hour to get their food. By the time we had reached the old convention center lot, we met up with our friends and mapped out a game plan. Even at 6pm, it was still fairly hot outside, and the idea of waiting for more than an hour with no guarantee of the trucks still having food by the time we reached the front of the line wasn’t very appealing. Some of the trucks we were really looking forward to trying were already gone for the day, such as Fry Captain and Takorean, and others that had been hyped for months like Red Hook Lobster Truck and Fojol Brothers had fairly intimidating lines that stretched across the lot. We happened to be right in front of the DC Slices truck when we noticed a sign that read: Be back in 30 minutes. Suddenly, it dawned on us that if we were to stand right in front, we would be first in line when they started serving again. We asked one of the cooks inside what the story was, and he explained that their supplier ran out of cheese, so one of the guys was at the Costco in Pentagon City getting more. Now, the idea that it would only take 30 minutes to get to Gallery Place from Pentagon City during rush hour on a Friday was a little unlikely, but then again you never know. We figured that any truck with food available would have at least a half hour wait, so we might as well be first in line for one that promised to have more supplies shortly. It was pure chance that we decided to stand where we were, and sure enough, a line started forming behind us that was quickly growing. The boys decided to stick it out front and center at DC Slices, but we thought we should strategize and wait in another food line as well or at least in one that was still selling food just in case the Costco cheese run didn’t pan out. 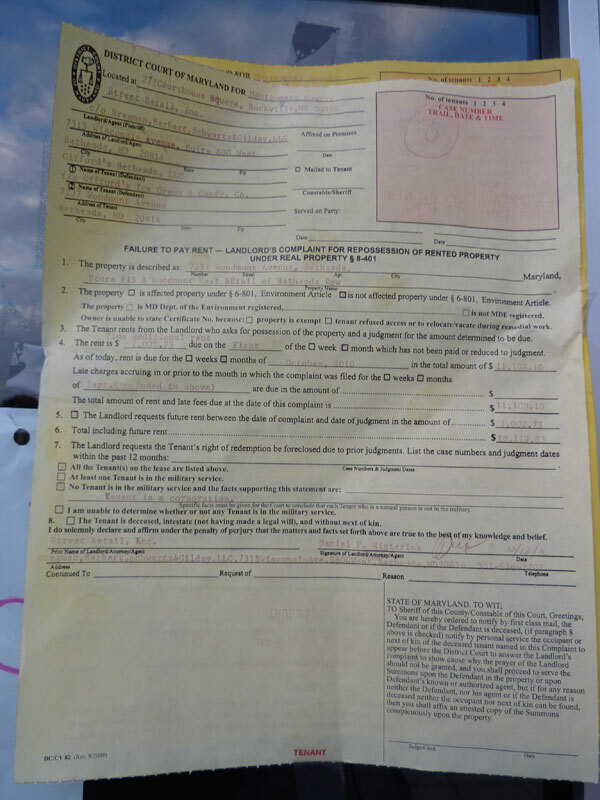 There were several trucks that looked appealing, such as Sauca, with a variety of international dishes, and District Taco, that had different types of taco offerings (but we were told they were in fact based out of Arlington and not the District). Eat Wonky didn’t seem to have too long of a line, but we weren’t feeling the poutine hot dog and fries they were serving up. In the end, we decided to wait in line in front of the El Floriando truck, which seemed to have decent food and the most reasonable queue that was actually moving fairly steadily. They only had two options of a Ho Chi Bahn Mi which consisted of turkey meatloaf with pickled green mango and tamarind BBQ sauce or a Classic Roast Pork and Ham Cuban Sandwich served with pickles Swiss and mustard. Since by this point it was already close to 7pm, we kept seeing signs that other food trucks around us were selling out and we were worried that while in line there would be nothing left by the time we got to the front. In the end, El Floriando had run out of the Bahn Mi by the time we reached the front, but they still had several Cuban sandwiches left. We each got a sandwich as well as a Boylan’s soda, and met up with the boys who had just gotten their pizza. There weren’t too many places to sit, so we all crowded around a bench near the long line for people waiting to board the MegaBus to New York. The sandwich was good, but I realized that anything probably tastes really good after waiting in a long line for it. 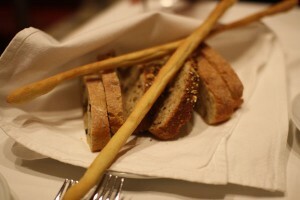 The bread was really soft and the meat was cooked well, but we all agreed that it was missing something. There were a few condiments on the side of the truck, but we were so rushed that we didn’t have time to add anything ourselves, and it would have been better if the sauce had already came on it. 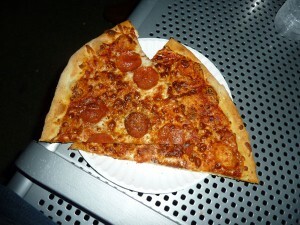 As for the pizza, it tasted OK, but in all honestly it wasn’t anything special. Given the fact that we got the freshest pizza as we were the first to receive the new batches of pies, it tasted fairly bland and like something you could get after the bars in DC. I think it was more of the novelty that it came from a truck than anything else. All the items were surprisingly reasonable, with the sandwich costing $5 and a slice of pizza just a dollar less. I would think given the high demand for the new trucks that they could get away with charging more, but then again, people were waiting to pay $16 for a lobster roll like they were going out of style. All in all, Curbside Kickoff was a great success, and I hope they continue to do this, not just as a yearly event but biannual at the very least. Since it is difficult to track down the trucks during the workday, especially if you don’t work downtown, I could see them doing this regularly in this parking lot, either once a month or even weekly. Or maybe some of the trucks will start coming to Bethesda too. Hey, a girl can dream, right?